VOOPOO FINIC FISH Kit is made from high quality plastic and PCTG material. Small but portable and handy. It is powered by GENE Pod Chip and 350mAh internal battery. Side filling system will also prevent you from leakage problem. Importantly, it can lead you to the origin taste of nico-salt. 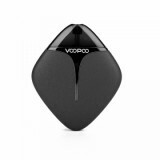 Here comes the new member of VOOPOO FINIC family—VOOPOO FINIC FISH Pod Kit, which is made from high quality plastic and PCTG material. It is small enough to be portable and handy. You can find it easy to carry. Powered by GENE Pod Chip and 350mAh internal battery, FINIC FISH Pod Kit can fire up to 12W. Moreover, 1.7ml e-juice capacity is available, together by the working of side filling system, it can prevent you from leakage problem. 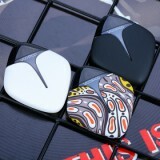 Moreover, FINIC FISH Pod Kit can lead you to the origin taste of nico-salt and provide you a best flavor. 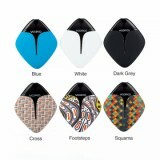 Come and get one VOOPOO FINIC FISH Pod Starter Kit and start to enjoy your nic-salt vaping. • You may have interest in other Pod Kits like OneVape Lambo. So what is this little fish all about. 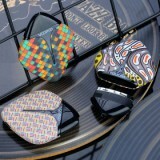 Well, it’s a refillable pod system that features an internal 350mAh battery and is capable of outputting between 7-12W. 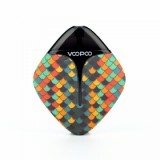 It’s also the first device to use VooPoo latest chipset, just for small devices, the GENE.Pod chip. See more VOOPOO FINIC FISH Kit review. Suitable for new starters, easy to operate! In order to the best flavor, you'd better buy the pod cartridge in case. It's my first pod kit, like this kit very much! 350mAh internal battery can last for a long time vaping! It's nearly two weeks arrived, works well so far! Easy to operate! VOOPOO FINIC FISH Pod is my favorite now! I can put it in my pocket. Fast delivery and best service! Love this VOOPOO FINIC FISH Pod System Starter Kit! Awesome! I'd buy again. Nice site.